85,000 young people together with the Polish Bishops and the President of Poland took part in the 22nd Youth Meeting in Lednica, under the motto “I am”. The meeting ended with a traditional passage through the Third Millennium Gate. 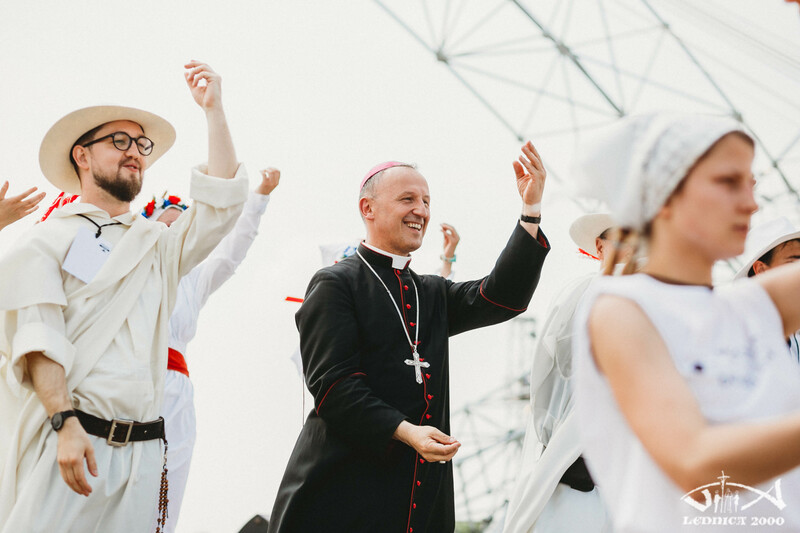 Officially, the Youth Meeting on the Lednica Fields began with a procession with relics, in which took part President of the Republic of Poland Andrzej Duda, Primate of Poland Archbishop Wojciech Polak and President of the Polish Bishops’ Conference Archbishop Stanisław Gądecki. This year, on the occasion of the 100th anniversary of Poland’s regaining independence, President Andrzej Duda gave the participants Polish flags.